Exercising discernment can lead to both pointed intercession and radical love, positioning us to succeed in our daily lives. Although you may have had negative experiences with “discerners,” this message will bring insight and balance to what may have once been a messy process. Exercising discernment can lead to both pointed intercession and radical love, positioning us to succeed in our daily lives. Although you may have had negative experiences with “discerners,” this message will bring insight and balance to what may have once been a messy process. True discernment means partnering with Heaven to unveil the atmospheres and apply God’s wisdom to shift them. In this teaching, Dawna De Silva offers a fresh perspective on discernment, including how to identify, communicate, and pray for the spiritual atmospheres around you with Heaven’s insight. Your authority in prayer will increase as you learn to tap into God’s truth, maintaining a fruitful, balanced outlook along the way. 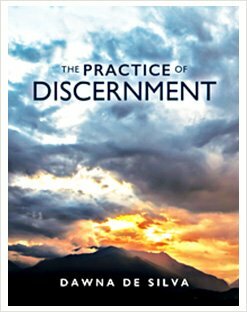 It’s time to reintegrate the practice of discernment in the church—for His glory and the health of His body!